Well, the end of 2013 was so busy with Autumn Festivals - including a trip back to the wonderful Bath Festival of Children's Literature and the lovely Portsmouth Bookfest - Story Parties, and then Christmas storytelling sessions that I haven't updated the news here for quite a while now - my apologies! 2014 looks like it's going to be just as busy - I've already run a Lion who came to Lunch session at the London School of Economics Literary festival - one of three sessions commissioned last year by London Zoo to celebrate their Wild Things series, published by Bloomsbury. I also debuted my Story Adventure sessions for 5 to 8 year olds at the LSE festival - The Snow Queen themed session went down a (snow)storm! I'm now running weekly Storyplaytime sessions at Melton Day Nursery for the children there - just like the one-off Storyplaytimes, the sessions are themed around a different story each week - our first week was The Billy Goat's Gruff and there are lots more exciting stories coming up - including a couple of my own! Hope to see you for some stories soon! Ahh the sun is here at last and time to update you on everything that's been happening here at Storyplaytime! Festivals, festivals, festivals - catch me at The Faraway Tree Festival - in Storytelling Land of course!, Hythe Fest in Colchester, Wickham Market Extravaganza and the biggest funnest folk fest of all Folk East! Can't wait! (Hythe Fest and Folk East are likely to be more adult stories but older kids may appreciate them too). There's a couple more in the pipeline so keep an eye on Facebook for more dates as they're confirmed. 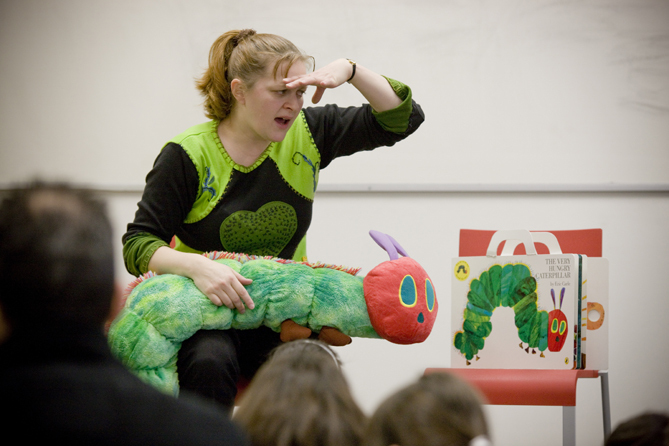 The Very Hungry Caterpillar Storyplaytime - as part of Switch Fringe, I'm sooo excited to be finally bringing The Very Hungry Caterpillar Storyplaytime to Ipswich - having been pretty much everywhere else in the country with it! More details and tickets can be bought through the link below. Storymaker - telling and making stories for 3 - 6 yr olds - Great to be doing more Storymaker sessions for The New Wolsey Theatre - had so much fun at Easter! So here's all the dates and links you can click on for the details! More dates are in the pipeline so keep an eye on my Facebook page for more up to date info! Hope to spin a tale or two for you somewhere soon! Storyplaytime at Latitude! Plus new Autumn dates! Exciting news for us - The Moomins Storyplaytime will be at Latitude Festival! My wonderful colleague Liz Burton-King will be running the sessions each morning in a lovely woodland clearing in the kids area. We're so excited as it's the perfect setting for bringing the world of the Moomins to life - do check it out if you're taking the kids along to Latitude. Hope to see you at a session soon! I've just put the finishing touches on this year's new Storyplaytime for Puffin - an Ahlberg classic 'The Baby's Catalogue' - we have a fabulous bath parachute, and a chant all about the 'accidents' the babies have! Not forgetting of course, a wonderful interactive story to join in with at the end. The first showing is at Woodbridge Salvation Army Parent & Toddler group on Monday 27th February - it would be great to see you there if you can come along, just get in touch via e-mail of facebook if you'd like to. In other news, I'll be back at Cambridge Wordfest this year with the ever popular The Very Hungry Caterpillar session, on Saturday 14th April. Hope to see you there! There are lots more events in the pipeline, keep an eye on here and facebook and I'll update you as soon as dates are confirmed. It's been a pretty busy first half of the year - sell out Peepo! sessions in Cambridge, Oxford and Brighton and a fabulous outdoor Moomins session at Snape! Thanks to everyone who came along and joined in so well with everything. I'm doing some local storytelling at Woodbridge Primary School Summer Fair on Saturday 25th June, so do come along if you can. There are a couple more Peepo! dates booked for the Autumn, to add to the Bath Festival (see below) - a London date in October (just waiting for final confirmation), and Winchester Discovery Centre on Sunday 11th December. There's still a few more I'm waiting to hear from - more news as I have it! My Facebook page is now up and running, so please do click through the link here to check out the latest news. I'm back from maternity leave and already events are booking up for 2011! There are still Moomins and Very Hungry Caterpillar storyplaytime's going on at various book festivals across the country, but new for this year is Peepo! 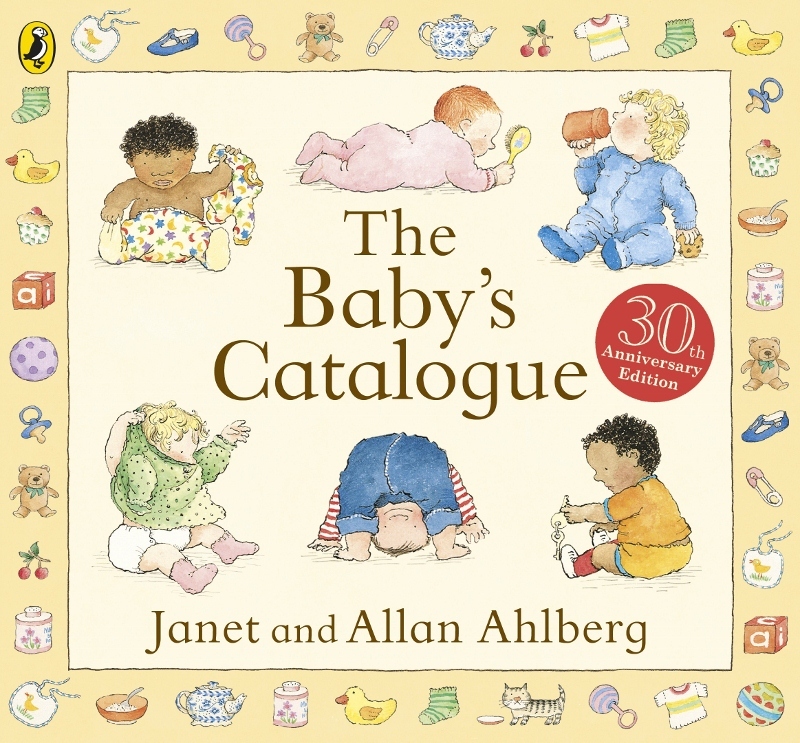 to celebrate the 25th Anniversary of Janet and Allan Ahlberg's classic book. It's very tempting to use my own 6-month-old as the Peepo! baby for the sessions - he has the look! - but to be on the safe side I've got a very lovely cuddly toy baby instead! The first outing of the Peepo! session is at the Oxford Literary Festival on Saturday 9th April (see link below), although there is a trial preview at Woodbridge Primary School on Wednesday 16th March, so if you're in the Woodbridge area and have got a pre-schooler you'd like to bring along to that do drop me an e-mail soon as places are limited. Still waiting to hear on some more festivals, so watch this space! Moomins and Caterpillar success at London School of Economics! "Feedback has been great, mostly asking for us to do it again next year!" If you need your fix of Storyplaytime in the meantime, then how about having regular weekly sessions at a venue that suits you? In the interests of empowering mums and saving the environment from all that driving, you can now book your own Storyplaytime session from just £40! Click here for more details - including how you can get the cost of your first session back when you go on to book a term's worth of sessions! I have a Storytelling for Parties leaflet available. There's a menu to pick from including traditional and personalised stories as well as acitivity packs to go along with them and storyplaytime sessions. If you want anything that's not on the menu - for example, something like the Book Festival's themed Storyplaytime sessions - then do just ask. E-mail justine@storyplaytime.co.uk for your copy. I'll be on maternity leave from 1st July, but will be back responding to e-mails again from 1st November, so please do get in touch then if you can't find the information you need on the website. In the meantime look out for Moomin's Storyplaytime sessions in Newcastle, Edinburgh, Wigtown and Bath, with our great new workshop leader Liz-Burton King. After a hectic 2009 with the weekly sessions and all the Very Hungry Caterpillar sessions for the book festivals, 2010 has already been pretty busy. Back in March I had a couple of lovely days in Brighton doing sessions for various groups at Children's Centres - themed on both The Very Hungry Caterpillar and a new session for this year based on We're going on a Bear Hunt. A big thanks to everyone who came along and joined in - and thanks to lovely Walker Books for permission for the Bear Hunt sessions. I'm back in Brighton on 23rd May for the festival with more Bear Hunt sessions, so really looking forward to that. If you want to come along book quickly as last year's sessions were sold out! Following the success of The Very Hungry Caterpillar storyplaytime session at the Woodbridge Children's Book Festival - and a hearty recommendation from Tania at Puffin Books who came along too - other book festivals around the country have followed suit. This year I ran sessions at the Shrewsbury, Oxford, Cambridge, Edinburgh, Hay, Brighton and Salisbury book Festivals to name but a few, celebrating the 40th anniversary of this wonderful book. As some of you know, I'm spending this year going up and down the country for Puffin books doing special Very Hungry Caterpillar themed Storyplaytime sessions at book festivals across the UK, to celebrate the book's 40th anniversary (see below) It's a really fun session, with lots of your favourite Storyplaytime games but caterpillar themed! 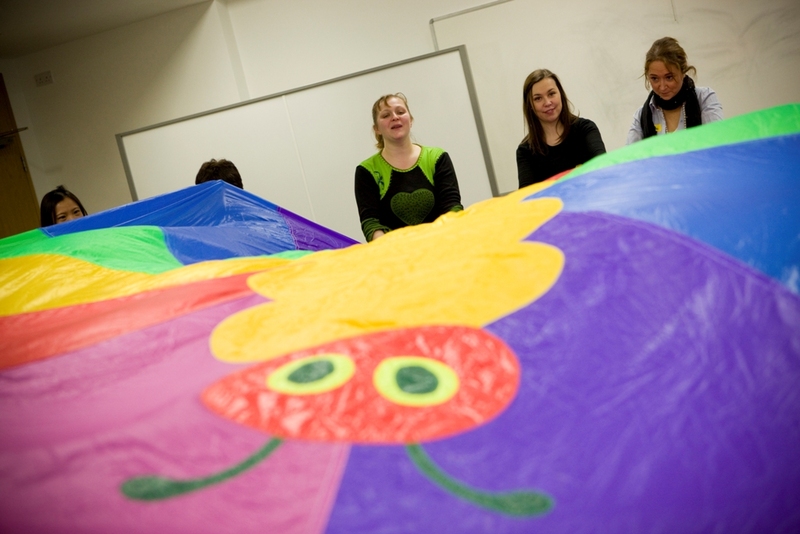 The session lasts the usual 45 minutes and takes the children through the whole story using games and songs, and ends with an interactive telling of the book, where the children all get to be the caterpillar. I've had a word with Puffin and they're happy for me to run the session in Woodbridge as a one off - and have even promised to send some colouring/activity packs down for every child who attends. So do come along and meet my very cuddly child-sized caterpillar and the beautiful butterfly parachute. A big thanks to all those that came along to our Monday afternoon sessions at the Fred Reynolds Centre in Woodbridge throughout last autumn. For the autumn term, every session had a theme - Earth, Air, Fire, or Water - so, for example, in our Fire week we crept through the hot jungle, chanted around the campfire, asked 'What's the time Mr Dragon? ', and made some very noisy sirens in our Three Little Fire Engines story! Thanks to all the Mums, Dads and kids that came along to the Storyplaytime sessions for the Woodbridge Children's Book Festival on Saturday 26th October. Some brilliant Bear Hunters and Caterpillars all round - and particularly well done to all those little ones who managed to concentrate so well through both sessions!